Private Excursions ehf. is licensed & authorized tour operator by the Icelandic tourist board and is governed under Icelandic laws. ID: 630318-1490 Tel: +354 860 5565. Email: private@private.is Address: Skólagerði 61, 200 Kópavogur, Iceland. We require full payment at the time of the booking. All prices on the website are per tour unless stated otherwise. All prices include VAT and taxes. All extra cost at the attractions stops are included, for example, parking fee but if admission fee is required like at Kerið crater or the Lava Center you need to pay on spot. Payment for our tours is made through secure payment gateway. When you make the payment through our site, a full payment is charged to your credit card. We pledge to make that process as secure as possible and we use SSL security through Let’s encrypt. 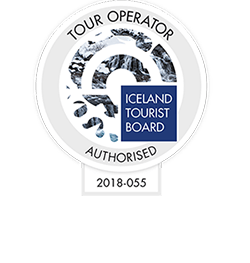 We offer refunds if the tour does not operate at all during your stay in Iceland. If a tour is cancelled due to weather condition the tour is refunded or you can book another day. If you wish to change your reservation we kindly ask that you give us advance notice, we are very flexible and will help with any alterations or changes you would like to make. The sooner you contact us the better. Cancellations must be made by email or confirmed by us over the phone. Cancellations have to be made with 24 hour notice or no refund will be given. If cancelled within 48 hours 50% refund will be made. Private Excursions declines responsibility for any loss, damage, accident, sickness or changes in schedules caused by weather, strikes or any other irregularity outside of our control. We reserve the right to alter routes or departure times when necessary due to weather. All information you give to the seller will only be used regarding your booking, for example if we need to contact you before or after the tour, we will use third party services to manage your booking and collect reviews. The Icelandic law requires each passenger to fasten their seatbelts while on board the car. Not complying with the law can lead to expulsion from the car. We are continuously working on improving our tour and service and much appreciate feedback from our customers. 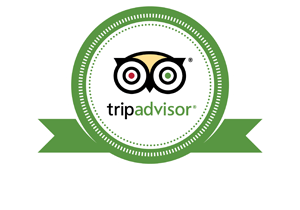 If you have any complaints regarding our tours please contact us right away (+354 860 5565) or private@private.is and we will reply to you as soon as possible.